Tic-Tac-Toe Spelling Homework is a great way to help your students learn and practice their spelling words. Students will choose 3 spelling activities to complete for homework that make a tic-tac-toe line: across, down, or diagonal. 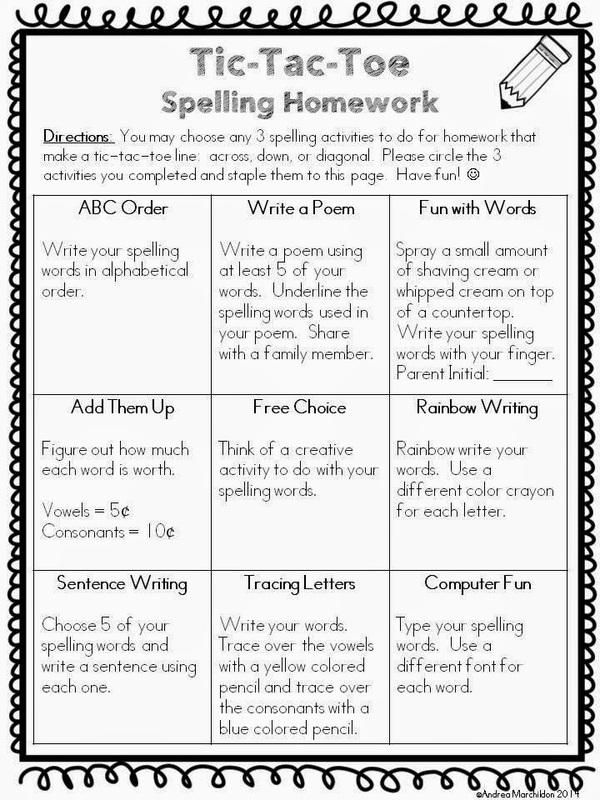 Use this weekly or every few weeks to keep spelling homework fun! Students will enjoy the 9 different choices! Just click the image below or click here to grab a copy.